Cusco 75w-85 LSD/gear oil lubricates both your LSD & transmission. Recommended for FF or 4WD (front) applications. Hydride purified base oil contained. With its high-quality base oil, Friction Modifier performs its best to make the synchronizer gear work the best. And surely lubricates under any situation. Friction Modifier saves the synchronizer gear being worn out during sports driving situation and makes the shift feeling much better. As its Friction Modifier performs to the LSD, the oil can be used for FWD vehicles with LSD in its transmission. It helps the life of both synchronizer gear and LSD performance. 75W-85 oil assures you an easy shift work even at cold temperatures. 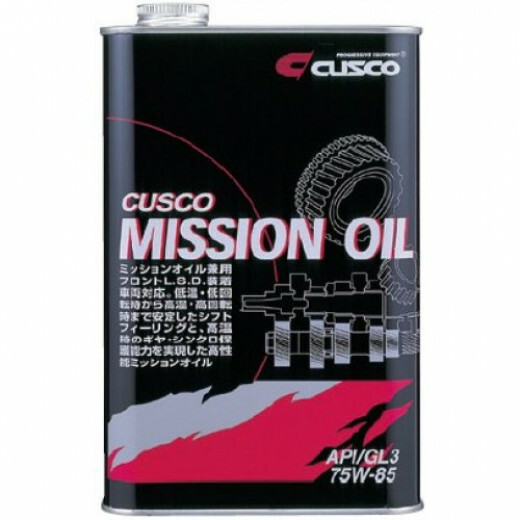 Very purified base oil provides a higher performance against heat. No more fear with soft ATF or Engine oil for easier shift work!! Here is the solution. This oil is highly recommended for Mitsubishi Evo 5-Speed gearboxes - try it to get rid of any notchy gearchanges without a costly complete gearbox overhaul.